Last week I attended the Southeastern Theatre Conference in Mobile, AL. It was a fantastic opportunity to meet with other professionals in the field and discuss current issues or trends. 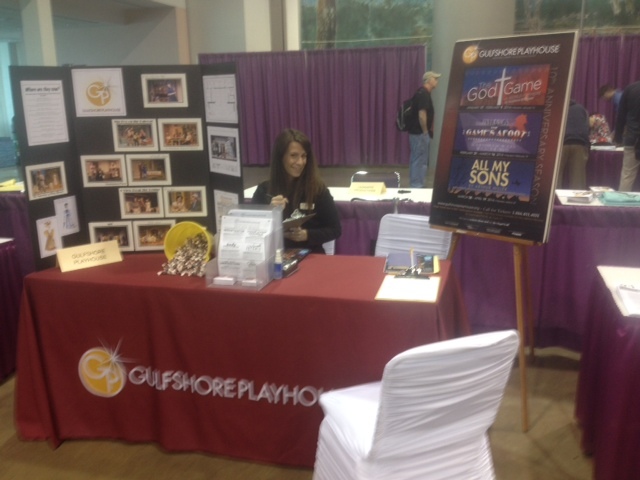 We met with intern potentials and spoke about all of the wonderful things Gulfshore Playhouse was doing in Southwest Florida. The conference is held each March and offers graduating students, universities, professional theatres, and theatrical arts companies the chance to meet. Jobs, auditions and connections. Over 800 people attend each year, and Mobile was no exception! The conference proved to me the wealth of young artists, performers, managers and designers living and being trained in the southeast of the country. Have no fear! The theatre arts are most certainly alive and well in the hands of these talented up-and-comers. Their energy is contagious, they are voracious learners, and WOW are they talented! Stars absolutely fell on Alabama last week. As theatre artists and administrators, we hope to connect people to story and to make them think. The individuals we met this week reminded me of the importance of keeping that goal in focus each day. They reminded me to continue to learn and grow in the field. And they confirmed my belief in the value of each team member required to create it – from an electrician to an actor to an accountant.